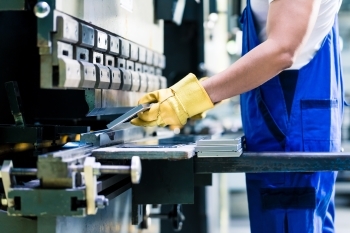 Running a manufacturing firm of any size and scope requires carefully managing and coordinating a vast assortment of operational “moving parts.” Hitting deliverable deadlines, streamlining output and effectively shipping everything to your client’s doorstep all requires an extensive range of strategic monitoring. Should one factor not receive the attention that it deserves, the entire process can instantly be held at a standstill. Of course, there is one critical resource to consider when ensuring that a plant has what it takes for optimal success: the right employees. Unfortunately, this is where many plant executives struggle. Some positions will seem to fill relatively quickly; however, some crucial job roles will remain open indefinitely, leaving the entire operation vulnerable in the interim. What’s one way to guarantee that your critical plant positions get the attention that they deserve? Hire a team of qualified manufacturing recruiters to help manage the hiring process for your company. Manufacturing recruiters can deliver qualified candidates right to your doorstep (or, more specifically, desktop) and shorten the overall time it takes to fill a position. Position qualification: A reputable firm will never treat your open position as a “standard” opportunity; instead, they will want to work closely with you to determine exactly what makes every open job in your corporation unique. Intangible characteristics: Beyond the brass tacks of the position skillset, reputable manufacturing recruiters will also work with your team to understand the characteristics that go beyond the tangible checklist. A talented recruiting firm will also want to know about your company culture as well corporate goals and visions to further hone their search for ultimate hiring success. Candidate screening: After your manufacturing recruiters have determined what a successful candidate for your organization looks like, they will begin the search. Reputable agencies will never send along a candidate for your review without screening them extensively on your behalf first. While you may have a few applicants that don’t quite seem like a perfect fit (especially in your first few hires with a firm as you work to smooth out any bumps in your new professional partnership), you should at least feel like every resume sent for your review has solid, viable and relevant experience. Follow up and negotiation: Once you’ve had an opportunity to review the resumes in the queue for your position, your manufacturing recruiters will manage all of the follow-up conversations for you. This means that they will help coordinate phone screens, face-to-face interviews and any necessary testing on your behalf. Additionally, your chosen staffing professionals will also coordinate all conversations regarding start date and salary. You’ll simply have to sign off on all of the final details and await your new employee’s arrival at your plant. Looking for seasoned manufacturing recruiters in Milwaukee and throughout the region? The Lawler Group can help. For over 40 years, the Lawler Group has earned its reputation as the go-to recruiting firm in the area. 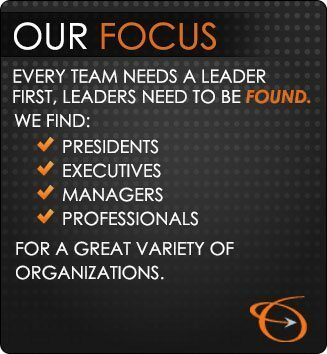 The Lawler Group has the skills and experience needed to fill your position with the right candidate, fast.